Krabi Province, some 55 kms due east of Phuket, falls within the boundaries of the Hat Noppharat Thara Marine National Park. Visitors here are greeted by a landscape of rusty red and gray limestone cliff faces, scarred with numerous caves and crevices, along with sheer rocky cliffs crowned with jungles and coconut trees. In places, the trees roll down to the waters edge which they share with glorious beaches – all in all some of the most stunning landscape in the country and an area not to be missed! Tourist amenities mainly centre around the two popular beaches of Ao Nang and Railae, both around 14 kms to the west of Krabi Town. Ao Nang, which can be reached by road or sea, has the most comprehensive selection of accommodation and restaurants, while Krabi Town has a limited facilities for tourists. The two neighbouring beaches of Phra Nang and Railay can be accessed only by sea and, although the former is without amenities, Railay has ample accommodations, restaurants and a small number of shops selling basic provisions. The more adventurous might care to do some rock climbing – the challenging craggy karsts here attract climbers from all over the world. 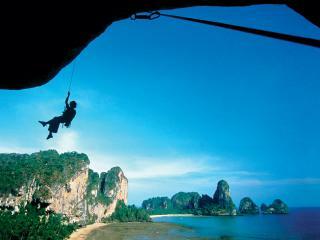 You can buy or rent climbing equipment and lessons are also available. To the north of Ao Nang, the 5km long beach of Had Noppharat Thara is fringed with casuarinas providing shade for a number of small food stalls purveying local snacks and beverages – all very reasonably priced! Ao Nang Bay has two small islands, Koh Po Dah Nai and Koh Po Dah Nok, the latter of which is a popular for sunbathing and snorkelling and has become known as 'Chicken Island' – from a distance it resembles a giant chicken sitting on its nest. 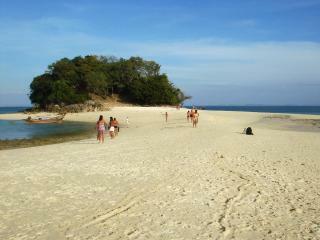 Both islands have beautiful beaches with splendid vistas looking back to the mainland. 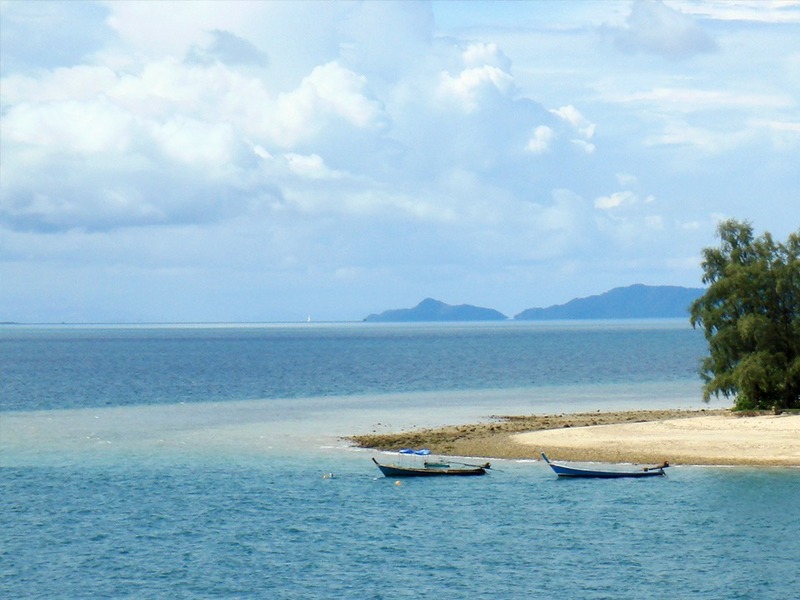 You can stay on Koh Po Dah Nai as it has a number of basic bungalows – but you should check their availability at Krabi Resort on Ao Nang as, more often than not, they are all occupied. Longtail boats to these two islands regularly depart from all the mainland beaches, or you can get there as part of a ‘five islands tour’, which includes snorkelling gear, fruit and lunch. Trips can be booked at the majority of beach resorts and hotels. 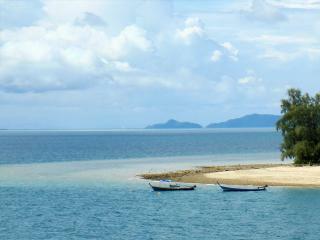 Both islands provide sheltered anchorage for yachts as do the waters off the mainland beaches. Krabi has always been a popular sailing destination with its impressive coastline and offshore islands, with many a passenger and crew temporarily disembarking for the evening to enjoy the onshore hospitality. 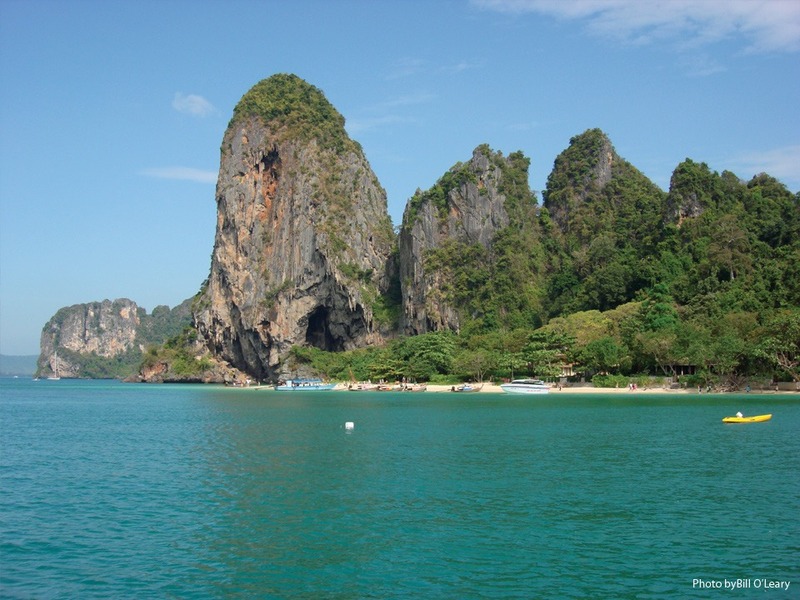 Also in the bay are a handful of limestone outcrops, the perimeters of which serve as local dive sites, another popular Krabi pastime. The sites, which can all be reached in an average of 30 minutes from the mainland, are relatively shallow and follow fringing and patch reefs. The sheltered waters are absolutely perfect for both diver training and guided dives alike and there’s a number of scuba diving centres to cater for the demand. Expect to see an abundance of radiant soft corals and a high diversity of marine life on gently sloping reefs, walls and swim-throughs. The majority of Krabi's visitors are more than happy to engulf themselves in the natural surroundings and not actually feel the need to visit anywhere! However, some of Krabi's other distractions include day trips to the Tiger Cave Monastery of Wat Tham Sua, snorkelling tours to Koh Phi Phi and boat trips out to ‘James Bond Island’ in Phang Nga Bay. The recommended way to reach Krabi is to fly directly into Krabi International Airport. 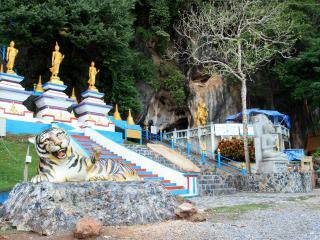 It’s then just a short ride by local bus, minibus or taxi from the airport to Krabi Town or Ao Nang Beach. The other beaches can be reached by regular boats from the town or Ao Nang. There is also a direct daily boat transfer service between Koh Phi Phi and Koh Lanta. Boats also travel daily from Phuket via Phi Phi. 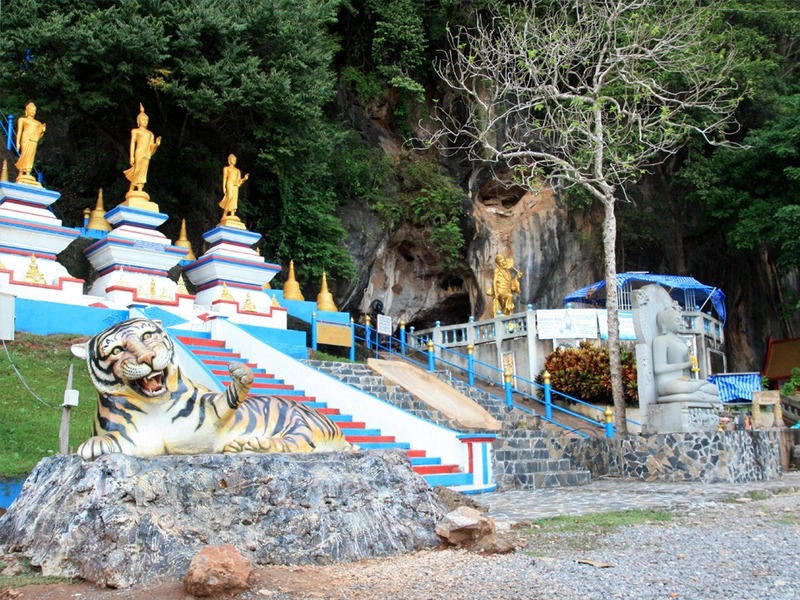 If you prefer to get to Krabi under your own steam from Phuket, there are a couple of options. Firstly by road, which takes between two to four hours (depending on both the time of day and the extent of roadworks). The route follows main roads with sections of dual carriageway. Alternatively, Krabi can be reached by the high seas; private sailing yacht charters are available on Phuket and come either with or without crew, depending on sailing capabilities or demand. One added bonus of travelling this way is that you are able to explore all the islands and beaches en-route, which you would otherwise pass by, not to mention the freedom to anchor anywhere you want. And, of course, there are no extra accommodation costs. Both Phuket and Krabi International airports have car rental kiosks. A valid International or Thai driving license and passport will be required, as will a deposit via credit card payment which is refunded as long as the car is returned in the same condition it was rented in!